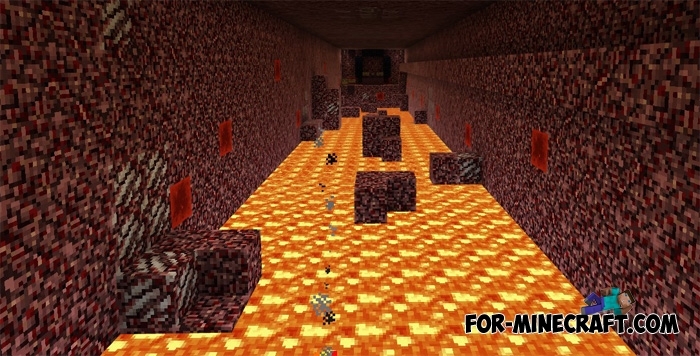 You need to overcome this path in order to get the title of the great parkour master in Minecraft Pocket Edition. The levels are very colorful, the author of the map made a lot of efforts to build a really beautiful background during the tests. There are not many levels, but they are diverse and do not resemble each other, which is why every parkour test will show you something new. The Parkour Path map is suitable for one player, but the possibility of passing along with friends is not ruled out. Start the game, count down and mark the time of passing the levels. Funny tests map for Minecraft PE 0.17.0I want to introduce you to my map for the passage - 'Eight tests'!